Inform and effectively engage your shoppers during their purchase time. 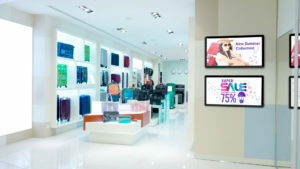 Transform in-store experiences right at the Point-of-Sale with Gallery Digital Signage solutions. Offer various levels of advertising to vendors based on factors such as, placement in the insert/feature, gross margin, holiday/seasonal activity, etc.